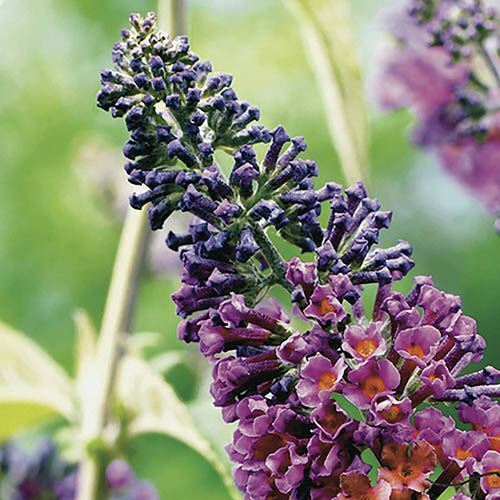 Introducing this magical and unique Buddleia, 'Flower Power', that has taken years of dedication from plant breeders to produce. 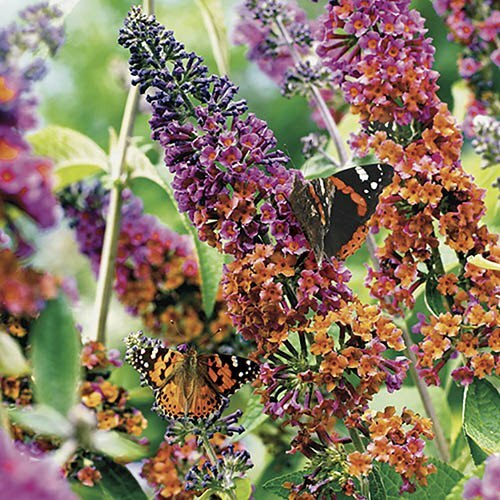 The first hybrid Buddleia between normal types, and a yellow flowered species, it has gorgeous 'colour changing' spires of flowers, from purple to orange - and all shades in between! 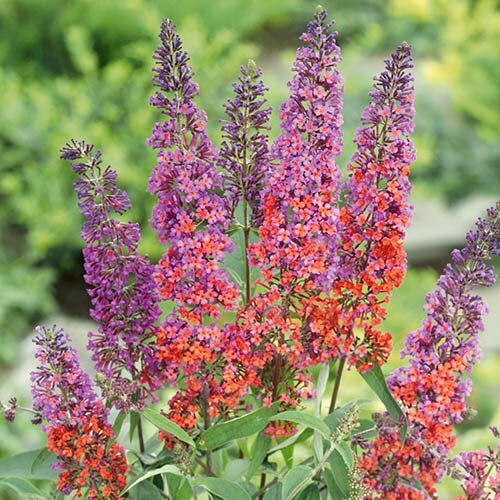 What a sensational new colour for hot summer borders and shrubberies. 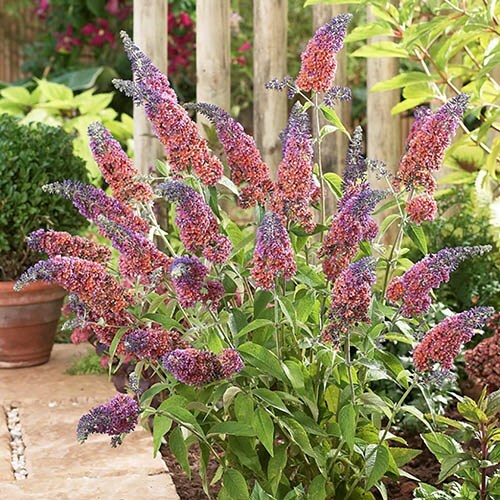 It retains the ability to attract Butterflies, hence the common name Butterfly Bush, in flower in Summer it will become a mecca for beautiful peacock and tortoishells. 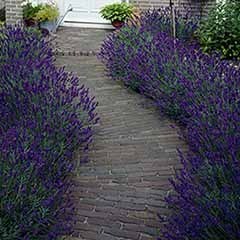 The bees will love it too - and repay you by pollinating crops for you! 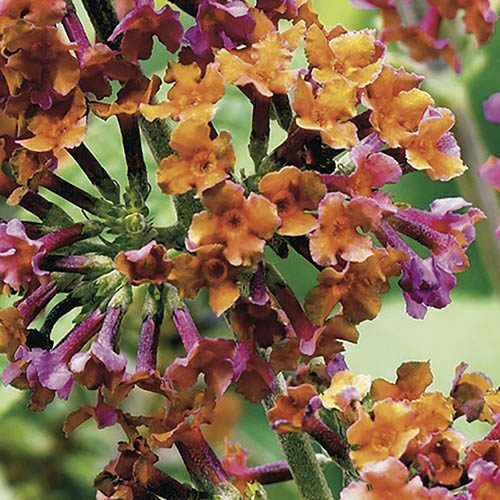 Hardy and easy to grow, its multicoloured displays of colour and sweet scent will last all Summer long. 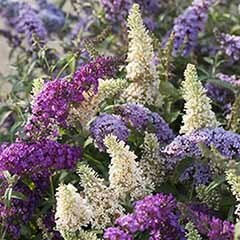 It is more upright and less bushy than more common Buddleia, and can quite lax in some cases, so may need some support in windy spots. 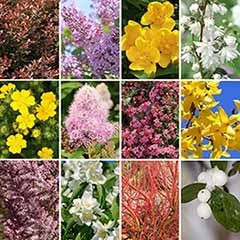 Grow in well-drained borders in sunny spots for maximum Flower Power. 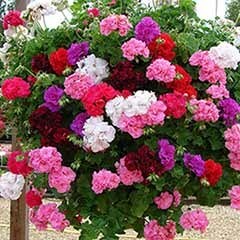 Look forward to great Summer displays year after year. 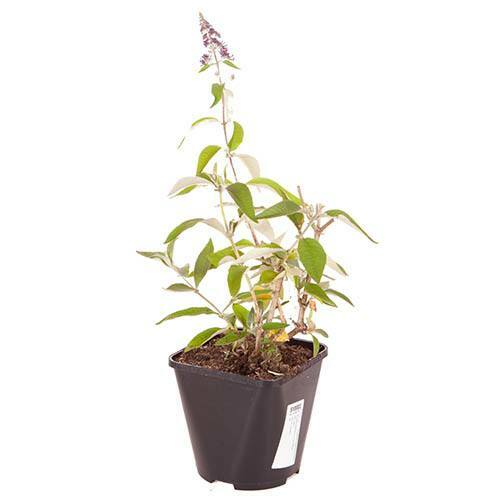 supplied as 2 year old bush in 2L pot, 50cm+ tall - lax habit. All in good order, well packed and doing well now they are planted. 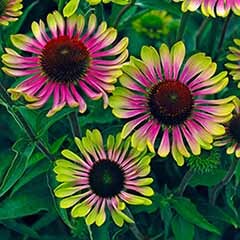 Good plant well packaged and delivered when they could be planted out. 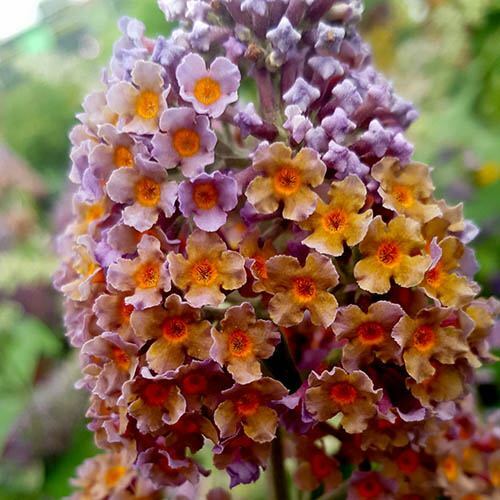 I emailed yesterday after receiving my order, to say how poorly they both looked , brown twsited leaves and buds that dropped off etc.but I havent had a reply yet. This plant had a few droopy leaves and dead off shoot branches. As before great service great purchase . Need firmer hold in packing? Difficult one but pots were smashed and few shoots.broken off . No permanent damage will all grow again will I be a returning customer ? Yes deffenatly. 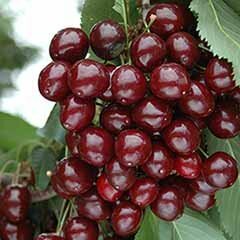 Plants are great well packed and looking healthy. Very pleased and I will return to order. My first place to look. Plant looking great now have to plant and enjoy. Efficient service. Plants arrived quickly and were nicely packaged. Not much plastic waste. All the plants were healthy and as described. Would use this company again. Absolutely first class. Goods arrived in good condition. Very happy. 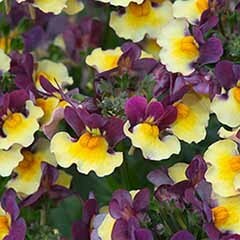 All plants arrived well packed and in very good condition. to date all the plants are doing well. Please accept my apologies for the delay in replying during this busy period. 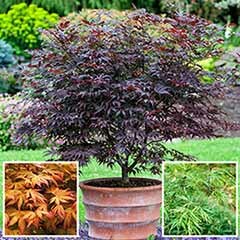 plant arrived in a good condition, unfortunately due to the extremely hot weather I have not been able to plant this properly just yet. 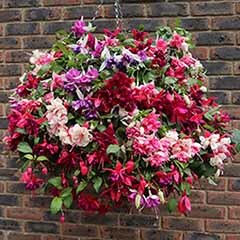 I had a problem with my plants being dried out and some broken in transit but this was resolved satisfactorily when I complained. All plants arrived on time and very well packed.